LIFEPLAT is a social-network website that connects people through common interests. Members create personalized taglines for use in keyword searches. The taglines are used in keyword searches, which enable members to quickly and easily find other people with the same interests, backgrounds, and opinions. Because the website uses a Google map interface, it is easy to connect with other members in the same geographic area. When deciding to move the website to a cloud platform, LIFEPLAT considered several providers. After a great deal of research, LIFEPLAT determined that Amazon Web Services (AWS) offered the solution which best addressed the company’s needs while helping the company solve some key concerns related to scalability and server responsiveness. Edward Hsiao, CEO of LIFEPLAT, explains that “with AWS having an Asia-Pacific presence, it seemed only logical to use AWS, as our current target users are mostly in this area.” Another deciding factor was the ability to move the website to the cloud without extensive modification to the scripts and database structures. Although security was not initially a key issue for Lifeplat, Edward was extremely pleased to discover that the security measures of AWS were stringent enough to protect the website and its data. LIFEPLAT considers its decision to use the AWS solution a wise one. Edward explains that the migration process was quite easy and painless, and said “AWS removes my future concerns as a Website developer and owner. 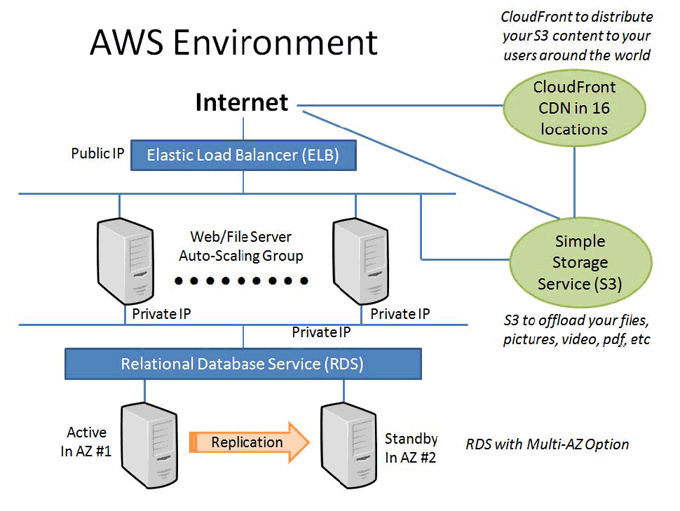 With AWS, I know my website is now able to withstand growth and attacks.” The AWS solution is so effective that LIFEPLAT is currently looking into the new features of Amazon RDS.